THIS IS THE 1 YOU WILL BE PROUD TO OWN...A LIKE NEW RIDGELINE RTL 4X4....LEATHER,POWER ROOF....A TAFFETA WHITE WITH GREY LEATHER SHOWOFF! 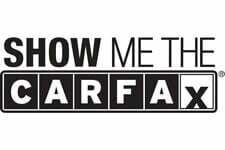 ...IT STARTS WITH A CARFAX CERTIFIED 2 OWNER SOUTHERN HERITAGE...OWNED AND MAINTAINED PROUDLY...RATED A 4.5 OUT OF 5 AT THE AUCTION THIS LOCAL NEW CAR DEALER TRADE IS EXCEPTIONALLY CLEAN FROM THE EXCELLENT GOODYEAR WRANGLER TIRES TO THE TOP! ...THE RTL 4X4 IS TOP OF THE LINE WITH PLUSH LEATHER SEATING...POWER SLIDING 3 STAGE MOONROOF...HEATED SEATS...BACK UP CAMERA...POWER DRIVER SEAT....ALL POWER OPTIONS ...A SHARP BRUSH GUARD SETS THIS RTL OFF FROM THE VERY LIMITED PACK! BOOKS,KEYS,RADIO CODE,WEATHER TECH FLOOR PROTECTION AND EXTRA FLOOR MATS...SPECIAL,YOU BETCHA AND THIS RIDGELINE RTL RIDES AND DRIVES JUST LIKE A NEW 1! THE CRENCOR TRUCK STORE HAS BEEN SELLING ONLY TOP QUALITY PRE OWNED VEHICLES ...JUST LIKE THIS BEST IN CLASS RIDGELINE...SINCE 1989! YOU WILL GET THE ***LOWEST POSSIBLE PAYMENT***WITH OUR 28 YRS OF LENDING RELATIONS...TOP KELLY TRADE FOR YOUR CLEAN TRADE...EVEN TRANSPORT THIS SPECIAL RIDGELINE TO YOUR FRONT DOOR FOR FREE WITHIN 100 MILES! YOU WILL VOTE THIS 1 BEST IN CLASS....MAKE THAT CALL AND SECURE THIS TAFFETA WHITE RIDGELINE RTL...BEFORE SOMEONE GETS YOUR HONDA!